» Who will win the foldable smartphone race? In 2013, Samsung announced its YOUM flexible OLED brand, showing off several flexible OLED prototypes - including a foldable phone/tablet. Samsung never used the YOUM brand name again, but the foldable smartphone concept presented in 2013 (see image below) is still exciting consumers - and many of them are still waiting for Samsung to commercialize the technology. Fast forward to 2015, and the first reports of Samsung's Project Valley started to surface. 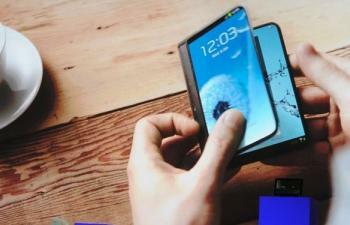 Samsung started to actually develop a foldable phone, with plans to release its first device in 2016. Samsung faced many challenges - and delays - in its foldable smartphone project (which was recently renamed to Project Winner) - including problems with the substrate and the software and user interface.